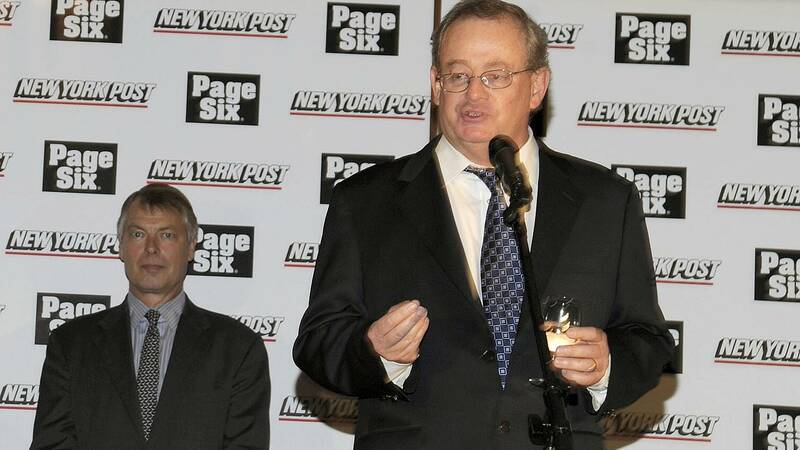 Col Allan, the fiery former editor-in-chief of The New York Post, is returning to the paper, according to several sources. Allan, who was the tabloid's top editor from 2001 to 2016, will reportedly act as an adviser to the Rupert Murdoch-owned News Corporation, whose influential properties include the Post, The Wall Street Journal and Barron's. Murdoch is also executive chairman of 21st Century Fox, which includes Fox Broadcasting Company and Fox News Channel. Allan has a long history with President Donald Trump, and has previously said the former real estate developer is "a tabloid newspaper editor's dream." "You know I like the Donald a lot," Allan saidat an Australian media event in 2017. Allan's return is likely to lead to a closer relationship between the right-leaning paper and the White House, with more positive coverage ahead of a potential bid by Trump in the 2020 presidential election, said three sources who spoke on the condition of anonymity because they were not authorized to speak publicly. "All signs are that Rupert is gearing up for 2020," said one person familiar with the internal dynamics at the newspaper. "It definitely has to do with Trump," one source told NBC News. Another source told NBC News, "The Fox News ethos is going to be more clear and distinct in the newspaper and on digital and in what gets promoted. There is a desire to bring things more center right." During Allan's tenure, the Post was hit with several high-profile lawsuits, including one from two men incorrectly implicated in the 2013 Boston marathon bombing, who appeared on the cover under the headline "Bag Men." A former editor sued in 2009, claiming she was fired for speaking critically about a cartoon that likened President Barack Obama to a dead chimpanzee. In the lawsuit, she also alleged the company was rife with racial and sexual harassment. At the time, the Post said in a statement, "We look forward to presenting the truth about the remaining charges — which are completely unfounded — to a jury." After his retirement in 2016, Allan relocated to his native Australia. His return to New York shocked staff last week. In a statement last week, employees learned that long-time Post staffer and chief executive and publisher, Jesse Angelo, was stepping down. Emails to Allan were not returned. A News Corporation spokesman was not available to comment.